October , 2011, TOKYO– Nikon Corporation is pleased to announce that total production of NIKKOR interchangeable lenses for Nikon SLR cameras reached sixty-five million at the beginning of October 2011. In 1959, Nikon (then Nippon Kogaku K.K.) released its first SLR camera, the Nikon F. At the same time, Nikon also released its first NIKKOR interchangeable lenses for Nikon SLR cameras, among them the Nikkor-S Auto 5cm f/2. In the half century since, NIKKOR lenses have become the favorite lenses of a wide variety of users, and have been extremely well received by a great number of photo enthusiasts and professional photographers. 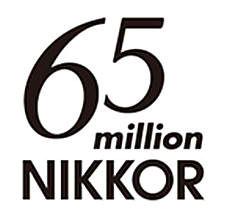 In March 2011, total production of NIKKOR lenses reached sixty million. Since then, Nikon has continued to expand the product lineup by releasing two new NIKKOR lenses for FX- and DX-format SLR cameras. The fact that NIKKOR continues to satisfy a wide variety of photographers is evidenced by production of an additional five million lenses in just half a year, bringing total production to sixty-five million. A fast, standard fixed focal length (prime) lens that produces bright images and offers beautiful blur characteristics and superior rendering performance with a focal length of 50 mm and fast maximum aperture of f/1.8. This lens is compatible with the FX format. A standard Micro-NIKKOR lens with a focal length of 40 mm and a maximum aperture of f/2.8. This lens enables extremely close-up shooting with a minimum focus distance of just 0.163 m and offers beautiful blur characteristics. It also offers a unique style when shooting portraits, landscapes and more. This lens is compatible with the DX format. Announced worldwide on September 21, the Nikon 1 J1 and the Nikon 1 V1 are the first and second cameras in the Nikon 1, Advanced Camera with Interchangeable Lenses, that utilize the new Nikon 1 lens mount system. The F-Mount NIKKOR lenses, with over half a century of history, can also be attached to the Nikon 1 J1 and the Nikon 1 V1 using the dedicated Mount Adapter FT1*. This enables users to enjoy tremendous variety in their imaging expression with the ability to select a lens best suited to the scene, subject, or their own creative intent from a broad lineup of standard and special-purpose NIKKOR lenses. Nikon will continue to expand its lineup of NIKKOR lenses utilizing optical technologies accumulated over its long history to offer increased convenience to users of Nikon cameras. *Autofocus may not perform as expected in some situations or with some lenses. Restrictions apply to mounting and functionality with some lenses. As the brand name for Nikon lenses, NIKKOR has become synonymous with high-performance, high-quality SLR lenses. The NIKKOR name comes from adding “R”—a common practice in the naming of photographic lenses at the time the name was established—to “Nikko”, the Romanized abbreviation for Nippon Kogaku K.K. In 1933, the large-format lens for aerial photography was released with the name Aero-Nikkor. NIKKOR has always been ahead of the times. The OP Fisheye-Nikkor 10mm f/5.6 fisheye lens for SLR cameras, released in 1968, was the world’s first lens to incorporate aspherical lens elements. What’s more, NIKKOR lenses for the latest SLR cameras utilize a number of Nikon’s own cutting-edge technologies, including Nano Crystal Coat, which virtually eliminates internal lens element reflections across a wide range of wavelengths. The current lineup of more than sixty NIKKOR lenses for Nikon SLR cameras offers a rich variety of lenses, including fisheye lenses, super wide-angle to super telephoto lenses, micro lenses and PC-E lenses. This entry was posted in Brand: Nikon, Photography Articles & Videos, Uncategorized and tagged DSLR, Lens, Nikkor, Nikon. Bookmark the permalink. The slr camera is the best camera on the market. slr cameras are the best picture taking cameras on the market.